We present here some activities concerning the use of Visual Technologies in Cultural Heritage and other application domains. Therefore, this page is collateral to the web page describing the research projects financed on competitive calls. Activities are projects focusing on a specific task, usually having a limited time duration. The Swedish Pompei Project is a research initiative by the Swedish Archeological School. One of the goals of the project is the digital documentation of the Insula V.1. The collaboration with ISTI-CNR focused on a high-quality acquisition of the whole Isula, with the aim of using the three-dimensional data to support the work of experts during the study and documentation of this complex environment. The Visual Computing Lab has been involved since 2012 in the activities of the Visionary Cross project, a multidisciplinary research project whose principle objective is the development of a new kind of digital archive and edition of texts and objects associated with the Visionary Cross tradition in Anglo-Saxon England. VC Lab supported the project in the 3D acquisition and web publication of high quality 3D representation of two major stone crosses in the United Kingdom. A strong research effort is currently focusing in the creation of a digital edition of the crosses, integrating 3D models with textual information and images. Since 2014, the Visual Computing Lab has investigated with the CNRS (Paris, France) the quality and detectability of Low Dynamic Range (LDR) or Standard Dynamic Range (SDR) content after being expaded using Inverse Tone Mapping Operators (ITMOs). This work highlights limitations of content expansion and how to detect it. The Visual Computing Lab has been collaborating with Linköping University since 2012 to acquire high-quality real-world illumination using HDR videocameras, panoramic cameras, 3D scanners, etc. Furthermore, these two laboratories have spent a huge effort in disseminating this technology that is key for many applications such as visual effects in cinema, video-games, advertising, virtual reality, augmented reality, etc. CENOBIUM (Cultural Electronic Network Online: Binding up Interoperably Usable Multimedia) is a multimedia presentation of Romanesque cloister capitals from the Mediterranean region. High-resolution digital photographs, 3-D models, and panoramas will virtually link the capitals to their original surroundings, thus representing them within their original architectural and conceptual contexts. A project in collaboration with the Kunsthistorisches Institut in Florenz Max-Planck-Institut. The VC Lab participated at the diagnostic activity of the 'Ecce Homo' by Antonello da Messina within the IperionCH.it - E-RISH.it project. A complete 3D digitization of the artwork was performed to sample morphology of the pictorial surface at very high-resolution and to support further cross-correlation and analysis of the other data sampled. All the scientific data obtained are being integrated by mapping all the data on the 3D/2D space of the digital representation of the artwork. The aim is to make it easy to consult and view all the data on the Web through an Interactive System, both for scientific and dissemination purposes. The VC Lab participated at the diagnostic activity of the 'Adoration of the Magi' by Leonardo da Vinci, providing technical support to the Opificio delle Pietre Dure in Florence. The total surface of the famous unfinished artwork by Leonardo was acquired producing a single high-resolution 3D model. It was used to evaluate the conservation status of the painting and to measure the deformations of the ten wooden support. Furthermore, a previous 3D model created in 2002 was also integrated in the study developing a new approach to quantify the panel deformation along time by comparing the two 3D models. These results were presented for the first time at the International Art and Restoration Fair 2018 in Florence. The VC Lab has developed, in collaboration with the Accademia Nazionale dei Lincei, the Interactive Digital System of the Loggia of Cupid and Psyche within the exhibition 'The Loggia of Cupid and Psyche – Raffaello and Giovanni da Udine – Colours of Prosperity: Fruits from the Old and New World' Villa Farnesina, Rome April 20 – July 20 2017. The system allows access to the ‘digital Loggia’ and permits the visitor to navigate freely through the high-resolution panoramic image of the painted ceiling, to admire it from a closer point of view and to consult the results of historical, botanical and scientific analyses performed on the selected species. The system is available online and with an interactive kiosk in the Farnesina building. The Visual Computing Lab has developed, in collaboration with the Università di Bologna and the Comune di bologna, the Information System for the restoration of the Neptune Fountain, carried out by the Istituto Superiore per il Restauro e la Conservazione – MIBACT. 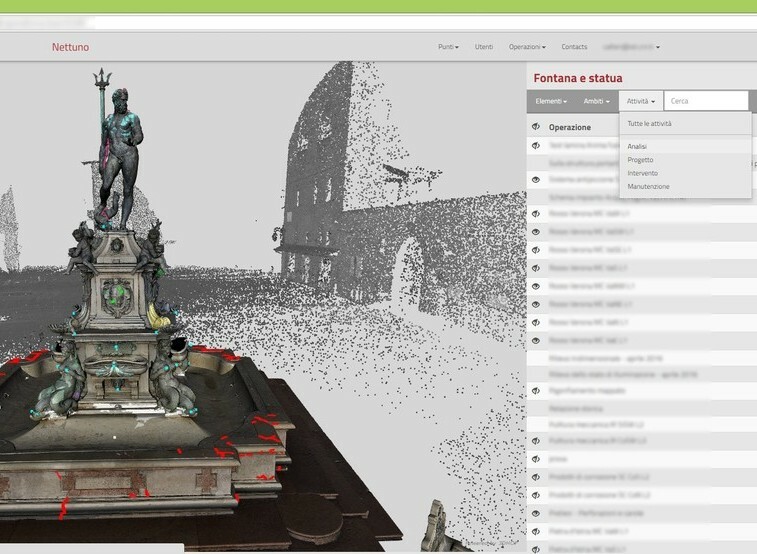 The system heavily uses the high-resolution 3D models of the fountain, as all the annotation, analyses and observations are mapped on the 3D surface of the structure. 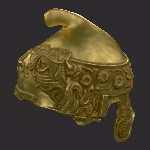 The system is completely online, and the restorers can access and work on the 3D models directly from the field. The Visual Computing Lab, in collaboration with the Opificio delle Pietre Dure and the Peggy Guggenheim Collection, worked the three-dimensional diagnostic analysis of the painting 'Alchemy' by Jackson Pollock. We created a high-res 3D of the geometry of the painting, usable as metric and scientific documentation, to measure, study and analyze the materic structure of the painting. The 3D models results have then been used to create an interactive kiosk and a physical reproduction of the painting for the exposition 'ALCHEMY BY JACKSON POLLOCK. Discovering the Artist at Work' (Peggy Guggenheim collection, Venice). The project proposes an innovative way to present coins collections to better capture the interest of the museum visitors and to give them enhanced information, improving the current exposition setup. The kiosk is easy and intuitive to use for the ordinary public of the museum and it allows the real-time manipulation of RTI (Reflectance Transformation Imaging) of each coin face with a set of basic operations like zooming, panning, flipping the coin, changing of the light direction. 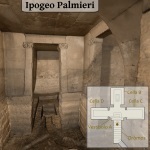 The project, a collaboration between the Visual Computing Lab and the National Archaeological Museum of Umbria (Perugia), has been focused on an Etruscan burial site of Hellenistic age, discovered at the end of the XIX century in Sigliano-Val di Fosso (Perugia), and later destroyed. 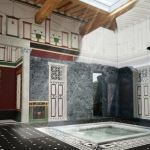 Its memory survives only in two archival documents and in some artefacts conserved at the National Archaeological Museum of Umbria. The fragmentation and heterogeneity of the materials, however, makes really difficult to provide a 'global' view over this burial site. Thus, we exploited the opportunities offered by digital media, to present to the public the monument as a whole, bringing back its original structures and objects. This activity was carried out in the framework of the ArTeSalVa project, financed in the line POR-FSE 2007-2013 of Regione Toscana, involving the LARTTE laboratory of Scuola Normale Superiore of Pisa and the Visual Computing Lab of ISTI-CNR. In this project, focused on the analysis and study of historical buildings in an endangered state, we worked on the old Badia Camaldolese in Volterra (Pisa). The work was mostly focused on the church of the Saints Giusto and Clemente, now devoid of the roof and much of the structure. 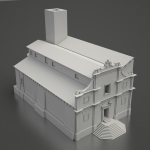 To better understand the history of the building and the events that led to its collapse, in this study, starting from a three-dimensional survey of the current state of the church, we created a virtual reconstruction of pre-collapse of the church. The aim of this project is to perform a comparative study of three artworks (bronze casts of Islamic provenance), to discover evidence of similarities and to get new insight on their origin. Probably produced within the Islamic Mediterranean in the eleventh century, the Griffin was brought to Pisa after raids in Majorca. For centuries it was a guardian figure on top of the roof of Pisa Cathedral. The present project is focused on the Griffin but also includes alongside it other bronze animal sculptures such as the Mari-Cha Lion and the Lucca Falcon. Funded by Opera Primaziale Pisana. The goal of this project was the digitization (2D and 3D) of the Capsella Samagher, an early-Christian reliquary in the National Archaeology Museum of Venice. The digitization was a prerequisite for a diagnostic activity and a new initial conservative restoration. This Reliquary (height 18,5 cm, length 20,5 cm, width 16,01), which was discovered in Samagher (Pula, Croatia) in 1906 under the altar of the Church of St. Hermagoras, is in carved ivory with corner reinforcements and silver accessories. Probably of Roman craftsmanship, it is of exceptional value for the history of early Christian art. Funded by Gruppo INTESA SANPAOLO. The Visual Computing Lab has carried out the digitization of this Aetruscan masterpiece, conserved at the National Archeological Museum of Villa Giulia, Rome. 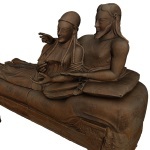 The 3D model was used in the setup of a temporary exhibition about the Aetruscans and the afterlife. In the framework of the PON 'DICET' - Regione Puglia, the Visual Computing Lab has developed an interactive kiosk for the exploration of this inaccessible underground structure. 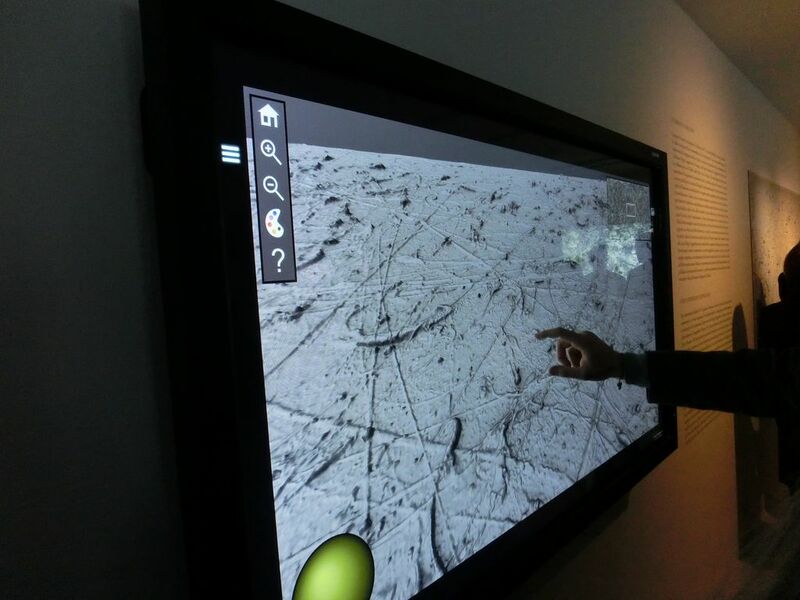 The application is currently installed on a touchscreen kiosk in the MUST history museum, in Lecce.